If u like ,i can make more skin for your mod . Tell me what do u think about it . I like it, makes it stand out from the standard armors. Oroonin , i can make banner, that's not the problem. But first i have to know the lord Name. 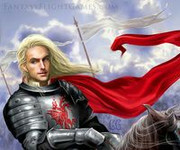 Hi, Hi you have seen before, i try to Go on with the mod, I don t want to take Kiado or Clegane place. I just think tht if we want A mod Everyone who can help is welcome. We can do things and when The leader are back decide together what we can do whith the things we have. _ Someone who can help me to enter all lord name in the game(Just need Notepad++ or something like that). With the unnoficial troop editor by HokieBT(search it on the repository) you can change the names of the lords. hey guys been looking for an asoiaf mod i can help with the naming of lords hurleur, im new to scripting but hopefully, eventually i can help with that as well.